Allergy shots, also called immunotherapy, are a long-term allergy treatment that is designed to decrease allergy symptoms by lessening the body’s sensitivity to allergens through building up immunity to that specific allergen. Allergy shots contain a small amount of the substance that the patient is allergic to which is increased over time to allow the immune system to build up a tolerance to the allergen thus reducing the body’s reaction. This desensitization to the allergen can take several years with shots being given 1-2 times per week at the onset and gradually decreasing to about one per month. Over the course of immunotherapy, allergy symptoms can be significantly reduced and in some cases, go away completely. 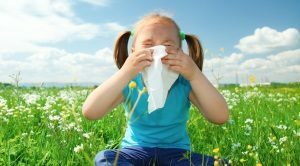 Adults and children over age 5 who have allergies in Fort Worth can benefit from immunotherapy. Children under 5 who suffer from allergies often cannot articulate adverse symptoms or cooperate with the intensive allergy shot schedule that is required for successful treatment. Patients with lung or heart problems or who take certain medications may not be good candidates for immunotherapy. Your Fort Worth allergist can advise you if allergy shots are a good treatment choice for your allergy condition. When considering allergy shots, keep in mind that a time commitment is involved (especially in the beginning stages of treatment) in order to receive the weekly/bi-weekly injections. Build-up phase: The initial treatment of building up the tolerance to the allergen involves 1-3 shots administered each week on separate occasions for approximately 3-6 months. The amount of allergen introduced into the body is gradually increased at each visit. Maintenance phase: Once an effective dose of the allergen is achieved (which depends on each patient’s sensitivity level to the allergen), injections will be given less often. Allergy shots are typically given every 2-4 weeks once the maintenance phase is reached. Decrease in symptoms can begin right away, but typically the most improvement occurs after the first year of immunotherapy. For some patients, allergy shots can be stopped once their symptoms subside, while others need an ongoing maintenance program to control symptoms. While allergy shots rarely result in serious adverse reactions, all patients are advised to stay at their doctor’s office for 30 minutes after an allergy shot. This waiting period is a safety precaution in the rare instance that a patient has a significant reaction to the injection. Patients who experience severe reactions (such as difficulty breathing or throat and/or facial swelling) after they leave the 30-minute observation period should go to the emergency room for treatment. Allergy shots can be a significant contributor in preventing new allergies and decreasing the risk of developing allergic asthma. Allergy treatment by our team at Fort Worth ENT starts with determining what type of allergy the patient is experiencing. Learn more about the different types of allergies by clicking the links above. Fort Worth ENT also offers allergy drops or sublingual immunotherapy (SLIT) often used as an alternative to allergy shots, that involves placing drops of an allergen extract under the tongue to be absorbed into the body in order to build long-term tolerance to a substance that typically produces an allergic reaction in the patient. At Fort Worth ENT & Sinus Center, we offer a multidisciplinary approach to allergy treatment. If you are experiencing allergy symptoms and are interested in finding out if allergy shots are a good course of treatment for you, please complete an online appointment request or phone 817-332-8848.